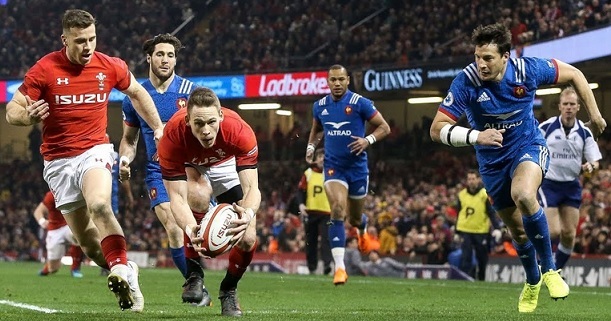 The 2019 Six Nations tournament will kick off on Friday night, with France hosting Wales at Stade De France in Paris. France is trying to turn the corner for some time now, but it just doesn`t seem they can do it, at least not with Jacques Brunel at the helm. There have been some good performances in the last couple of years, but they were scattered, and overall the team is not looking great coming into this tournament. Last year France started with a 4th place finish in the Six Nations, went on to lose three times to New Zealand in the June test Window (pretty badly), and had a rather poor test window in November – beating Argentina, but losing at home to South Africa and Fiji. Wales (who finished second last year) is rated as the second favorite to lift the Six Nations trophy this season – and indeed the Welsh look like they are ready to make a run against the likes of Ireland or England. With Warren Gatland still in charge, Wales is currently riding an 9 match winning streak – including a brilliant run in last Autumn`s test period, where Wales defeated South Africa, Scotland, Australia and Tonga, playing extremely solid rugby. Bet on France vs Wales and get your 100% (120 Eur) welcome bonus at LSbet now! France has made some changes to last year`s team. For example, 8 of the guys who started last season in the Six Nations against Wales are not even in the squad. Some of the changes are due to injury, but overall France will be able to field a strong lineup. Wales will miss Jenkins, Halfpenny and Fauletau, all important players, but otherwise the visitors have a healthy and strong squad, and the starting XV looks absolutely deadly. Looking at the two teams, there`s no doubt that Wales is stronger, and more importantly enters this tournament in much better form. The Welsh really looked exceptional in the last International test period in November. The Welsh also have a much more established lineup, while France has shuffled the pack, bringing in a few youngsters as well, so it`s not quite clear what to expect from them. France could very well be a bit rusty and not that cohesive, and Wales (a well coached, cohesive machine) is the perfect team to take advantage of that. The main argument for France is home court advantage, as the French have always been a force to be reckoned with at home, and even the best sides always have a tough time winning in Paris. However, Wales has been one of the teams with the best success in France. Wales won 6 of the last 7 Head 2 Head meetings, two of them in Paris, and the only loss during this timespan was by just 2 points in 2017. Wales has never been bothered by playing in France, and that might give them the confidence they need to impose their superiority and start off with a win. This is really a huge game for Wales’ title hopes. A good start would put them in a brilliant position with home games against Ireland and England to follow, while a loss would be a devastating blow to their Championship aspirations. Having watched Wales in November, and for all of last year really, they look like a team which will turn up and do the job in such a big game. Look for Wales to be the more solid and more consistent team here. They seem to be just a bit better than France in every department, especially the backrows, and they are much more cohesive and experienced. Wales should be more tidy and win the penalty count, which should equal a win. My tip will be Wales DNB, I like the safety net of getting our money back in case of a draw. It will probably be close, as most recent meetings have been, but Wales looks good value to edge this. I also wouldn`t shy away of picking them to win the whole thing at odds 6.00 with low stakes. If they start of with a win in France, they might even become favorites given that they will host both Ireland and England. Prediction: France – Wales 18 – 23.